Enjoy Alexx Andria's Books? Tell us Why and Win a Free Book! 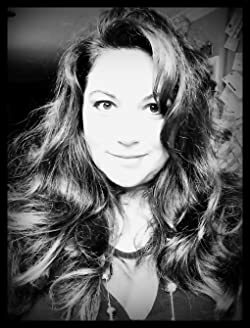 Welcome to Alexx Andria's BookGorilla Author Page! We're working hard to bring you the best deals ever on Alexx Andria's Kindle books. If you’re a Alexx Andria fan, we'd love to have your help in making this author page special. Tell us, in no more than 150 words, why you think Alexx Andria is great. Use this webform to send us your submission, and if we select yours we'll offer you one of Alexx Andria's books or a Kindle Gift Card as a free gift! Thanks! Please enter your email address and click the Follow button to follow Alexx Andria! End-of-the-world-as-we-know-it prophecy in play: check! Inconvenient pair-bonding between TWO sets of twins: check! Family drama, high stakes, slim odds for success: check! Landry James meets her new partner, Killion McClane and learns a few things about her new job, such as being ready to do whatever it takes to get the job done, whether it's a woman or a man. This is a sexually explicit short story of approximately 6,000 words featuring f/f situations. Carlie has a secret career in the adult film industry and when someone threatens to blow her cover, she delights in persuading them to keep her dirty secret. *This short story is intended for adult readers. Reader discretion is advised!